Arch Linux is a free and open source Linux distribution for experienced Linux users. 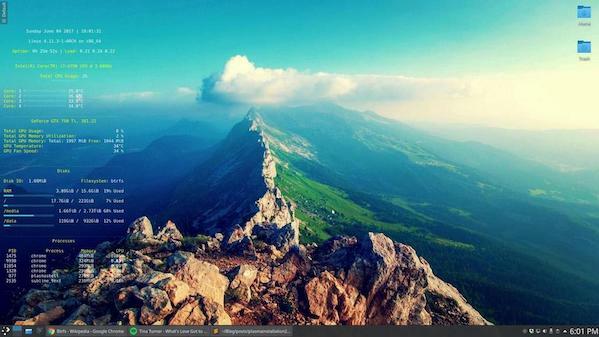 The Plasma Desktop is a free and open source desktop from the KDE project. This detailed blog post shows how to setup an awesome Arch Linux with KDE Plasma 5 desktop. Arch Linux is a general purpose GNU/Linux distribution that provides most up-to- date softwares by following the rolling-release model. Arch Linux allows you to use updated cutting-edge softwares and packages as soon as the developers released them. KDE Plasma 5 is the current generation of the desktop environment created by KDE primarily for Linux systems. In this post, we will do a complete installation of Arch Linux with Plasma 5 as the desktop environment. Our setup will also involve encryption of the root partition that will be formatted in btrfs. This post is an updated and a more complete version of my previous posts on Arch Linux and Plasma 5 Installation.